The Stabilization, however, is limited to 4k 30/60p and other resolutions below 120p but anything above 120fps will use the previous stabilization feature which is not predictive and have no stabilization support at all at 1080p 240fps which is the highest slow motion mode. No 480fps or other higher fps settings are available as the camera uses both the same Hero 6 Black sensor and the same GP1 system chip for this new camera. Wide FOV: 60,30,24 with HyperSmooth! There is no question that the Hero 7 Black is the best GoPro ever introduced. The quality and features are top-notch considering it remains an affordable $399.99(Available At Amazon Now) which is in line with other competitors. 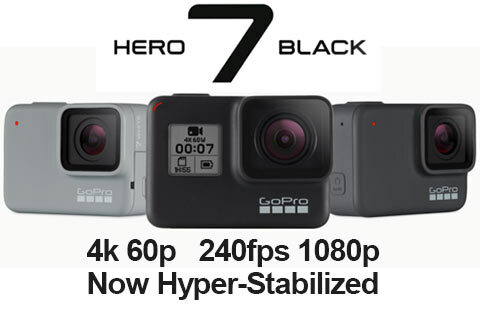 The lack of above 240fps frame rates is disheartening as the spec has remained pegged to the camera since the Hero 5 black with only improvements in aliasing reduction and codec bit-rate. The footage does look better in the Hero 7 Black compared to the Hero 6 mostly due to increased bit-rate but not because the imaging system has changed because it remains exactly the same. The changes are mainly in the addition of a 1GB of extra RAM memory to help with Timelapse/Hyperlapse modes and the new HyperSmooth stabilizer. The extra GB helps the camera buffer enough information for real-time stabilization that is in a word unique. This new stabilizer is so good that it really kills off gimbals for the Hero series like GoPro’s own Karma stabilizer which may still offer an edge but much less so now. The Stabilization will, of course, reduce image quality with cropping but it does so intelligently by sampling a larger sensor area and then trimming as little as possible to maintain resolution across the board. As mentioned earlier, the stabilizer will not work in 240fps slow-motion modes but many will point out that at that speed it will be overkill and redundant since stabilization in slow motion happens as a side effect of the high fps capture and regular speed playback. The quality of the Hero 6 Black vs the Hero 7 Black in video modes will be very slim to nonexistent besides the higher bit-rate. The video below will show even a slow-motion sample at 240p which seems a tad sharper but we still have moire and aliasing all over the place which shows lines are skipped and not fully sampled. We will need however more tests to fully evaluate the camera’s strengths and weaknesses as a slow-motion option. Previous PostiPhone Xs Slow Motion Official Apple Sample!Next PostPanasonic S Series Could Taper Slow Motion Curve! I see the latest go pro 7 is almost out & is getting better & better. This time last year i was so close to buying the 6 but as there was no higher frame rate than 240 fps i didn’t. 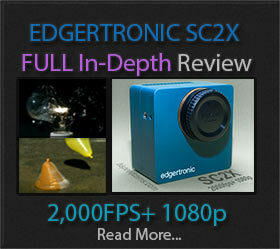 240 fps @ FHD along with 2,7k @ 120fps & the EIS made me almost buy the 6. 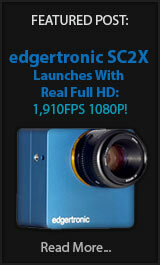 If only they would put a 420 / 480fps @ 720p then its a must buy & worth every penny. Its the slow motion that sells it for me. Is a soft ware update in a few months going to happen to the fps @ 720p i wonder? That said i think the 7 should be a great camera. Lets see what some reviews say. We don’t think 480fps is in the cards due to the 7 using the same 6 sensor and processor. It would have been great to see an increase this time around. GoPro is recycling their cpu and other parts to save production costs while improving software capabilities like the stabilizer and timelapse functions. Does the Hypersmooth feature also work with a Super View FOV (with 2.7k or 1080p) or is the FOW cropped?